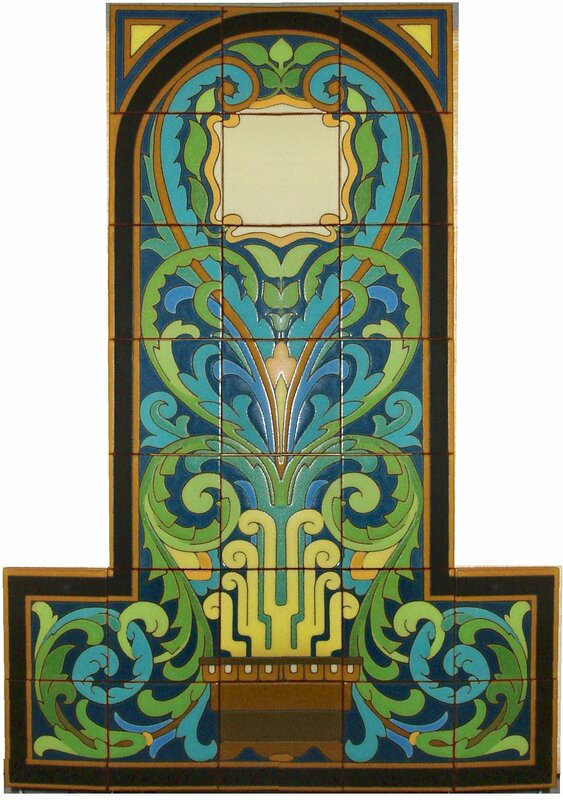 A curvy art deco inspired panel in greens and blues. Dimensions: 30in. × 42in. × 0.5in.